Another exciting thing found within the Pokemon Ultra Sun & Ultra Moon's Coding when Datamined was a brand new Mythical Pokemon! Many players expected another Mythical Pokemon to be coming, as the Pokemon Company usually releases three Mythical Pokemon per generation and had only two so far in the 7th Generation with Magearna and Marshadow. This new Mythical Pokemon will be called Zeraora, and it's a pure Electric Type Pokemon. 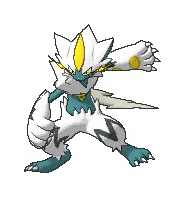 Zeraora will have a Base Stat Total of 600, but instead of having 100 Base Stats for each Stat Category, Zeraora will have the Stat Spread of 88/112/75/102/80/143. Like all Mythical Pokemon, Zeraora will later be released as a Wi-Fi Event.